FIRST EVER INDOOR WINTER FLAG FOOTBALL LEAGUE - Inaugural season. 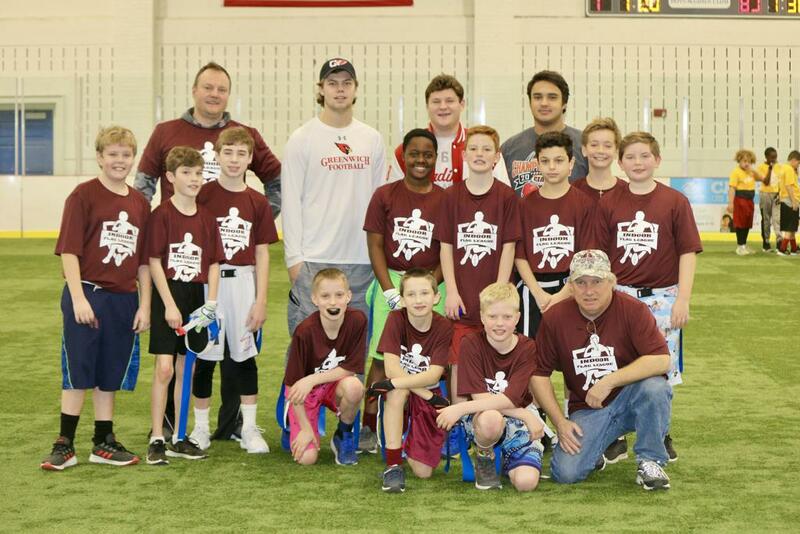 Created by two former Greenwich Football Varsity Captains and former GYFL players – Winter Flag Football League brings the fun and competitive sport of flag football to the Winter season. There will no longer be an off season for Football! Athletes from ages 8-13 will be able to continue their development in the great sport of football. The league will allow the young athletes to compete in a fun and fast-paced environment with the goal of instilling a love for the game. The league, backed by the GYFL and Greenwich Football Program, will promote good sportsmanship, discipline and honesty. The values that these young athletes develop from flag football will not only help them grow as football players but as young members in their community. * IFL supports and encourages athletes playing multiple sports which why we will accommodate the schedule accordingly. ©2019 Winter Indoor Flag Football League / SportsEngine. All Rights Reserved.